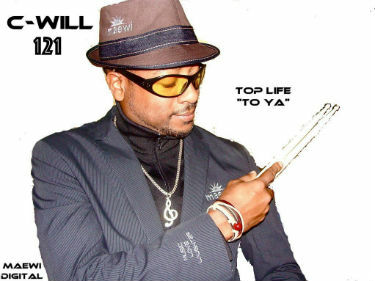 Veteran musical artist C-WILL121 is an architect of what he dubs “New Vibe Music,” a genre which fuses future, soul and hip hop into new niche sound. He has a few new summer singles that are floating about out there on the airwaves. Stuck offers an ambiance that’s both somber and upbeat at the same time. Stylistically, it’s vaguely reminiscent of Marvin Gaye’s Let’s Get it on, only with a more modern and futuristic backing beat. The song combines a rather uplifting musical tone with lyrics conveying the metaphoric distress of feeling “stuck” on a desert island (within a romantic context.) Stuck makes good use of harmonies and layering, with everything sounding where it should be in the mix. Your Portal is easily my favorite of theses singles. It features some killer, spacey synths and has a very minimalist vibe. It isn’t just a boring, straightforward beat. There are a lot of changing bits and pieces, and perfectly timed, tiny musical components are added throughout. This is a solid dance track, but more importantly it demonstrates C-WILL121′s level of creativity and penchant for the avant garde. Change Your Mind also comes equipped with some impressive synth hooks, almost sounding like early 90s video game music at times and tropical surf music at other times. The overall tone is slightly brighter than the other tracks. I think this song could also be released as an instrumental version, which would make a great commercial jingle or film soundtrack piece. C-WILL121 definitely has a knack for composing interesting songs, and I have to admire his willingness to explore new creative angles and fresh sounds. His full length album, Music Hero (which includes the above tracks,) is scheduled to be released December 7, 2018.